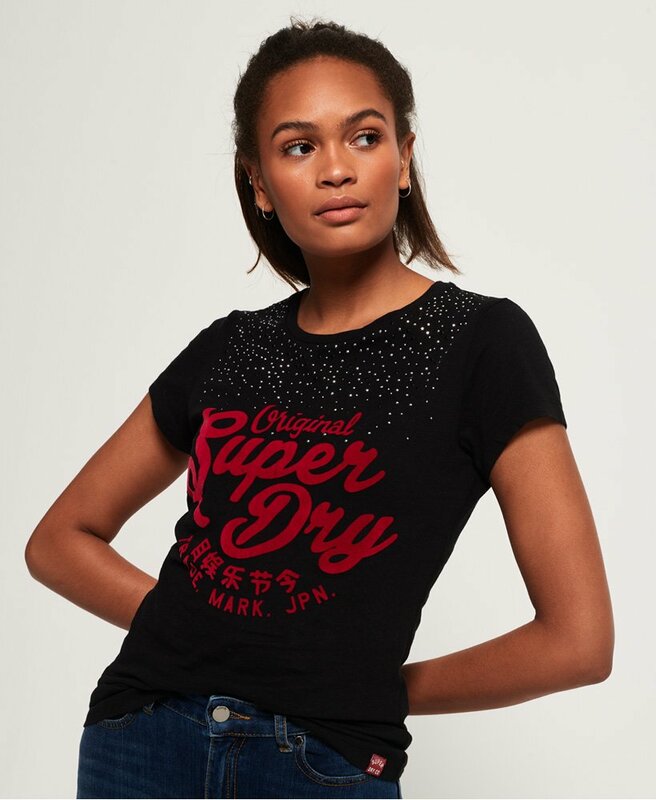 Superdry women’s embellished Night t-shirt. For a new season look that is practical and punchy, this crew neck t-shirt allows you to look effortlessly on-trend. Featuring a Superdry logo graphic across the front in a flocked effect. For an extra sparkle, the embellished Night t-shirt also features embellishments around the neckline. This tee is finished with a Superdry logo tab above the hem, and would look great with jeans and skirts alike.